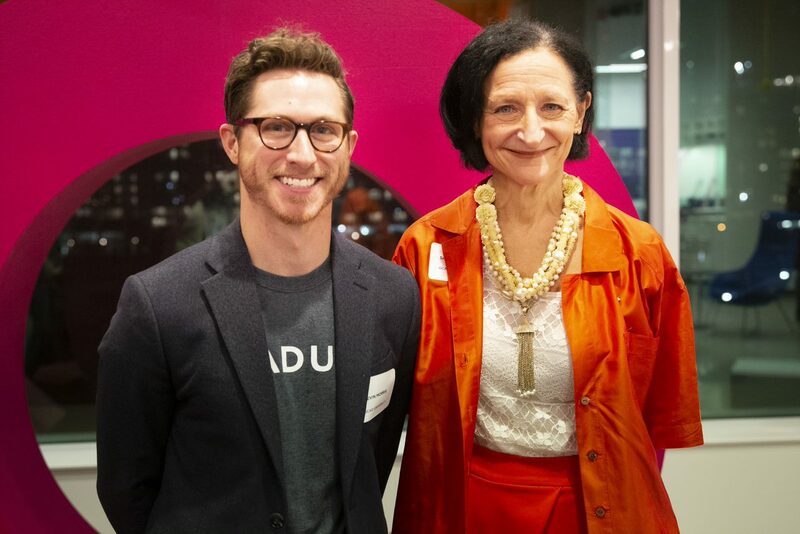 OCAD University celebrated the opening of its new waterfront campus, OCAD U CO ̶ the university’s new executive studio that uses creative problem-solving to drive innovation and change. Located at Daniel City of the Arts, the new facility is also the home of Imagination Catalyst entrepreneurship and commercialization hub, which supports companies committed to design-driven products and services. President Sara Diamond welcomed special guests, Adam Vaughan, MP Spadina-Fort York and Chris Glover, MPP Spadina-Fort York. The Government of Canada, in partnership with the Government of Ontario, contributed $2.5 million towards this project under the Post-Secondary Institutions Strategic Investment Fund (SIF). 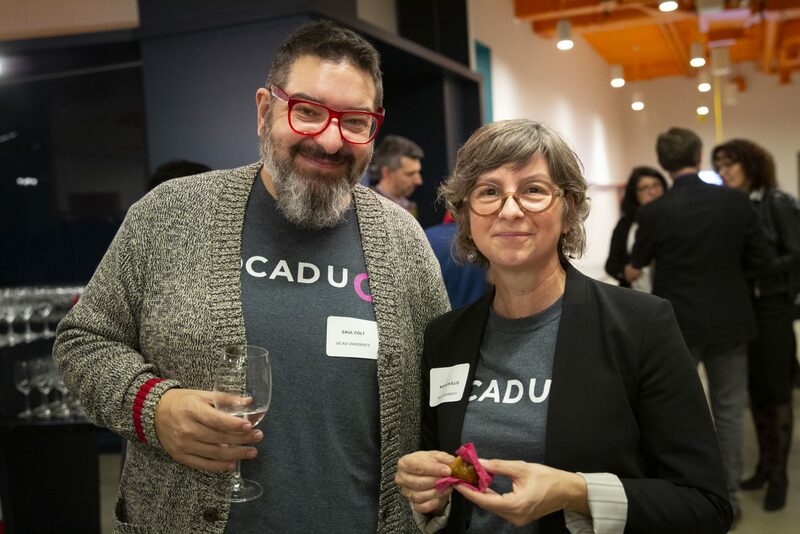 Under the leadership of Kevin Morris, Managing Director of OCAD U CO, the facility makes the deep creative design knowledge and capabilities of OCAD University available to industry leaders and their organizations. OCAD University’s newest entrepreneurs from the Imagination Catalyst squared off at the Cassels Brock Pitch Competition on September 27, competing for $5000 in start-up funding. 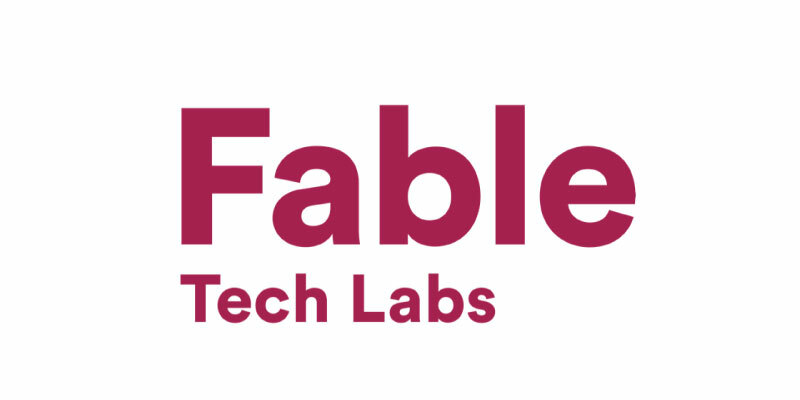 Abid Virani, co-founder & COO of Fable Tech Labs, took the top prize, out-pitching colleagues from OCAD U’s business incubator. The Cassels Brock annual pitch competition was sponsored by Cassels Brock, City of Toronto, StartUp HERE Toronto and Steam Whistle. Entrepreneur BootCamp Deadline to Apply Feb 4th! Open to students of all levels of experience the Entrepreneur Bootcamp runs 4 consecutive days, February 20th to 23rd from 9:30 am to 4:30 pm. If you’ve ever thought of starting a business this workshop is a great place explore. It’s especially helpful if you’re thinking about applying to the Imagination Catalyst incubator to commercialize your thesis project after graduation - or take a business you’re working on to the next level. Read more about Entrepreneur BootCamp Deadline to Apply Feb 4th! OCAD University’s business incubator, Imagination Catalyst, participated in InnovateTO150 on Friday, November 3. More than 50 of Toronto’s best innovation-minded startups and entrepreneurs were featured at the event ̶ a startup showcase and pitch competition organized by the City of Toronto and the four Toronto-based universities. InnovateTO150 represents a new collaborative partnership between the City of Toronto, OCAD University, Ryerson University, the University of Toronto, and York University. This collaboration aims to deliver the innovation and showcase initiative with a local and national impact. 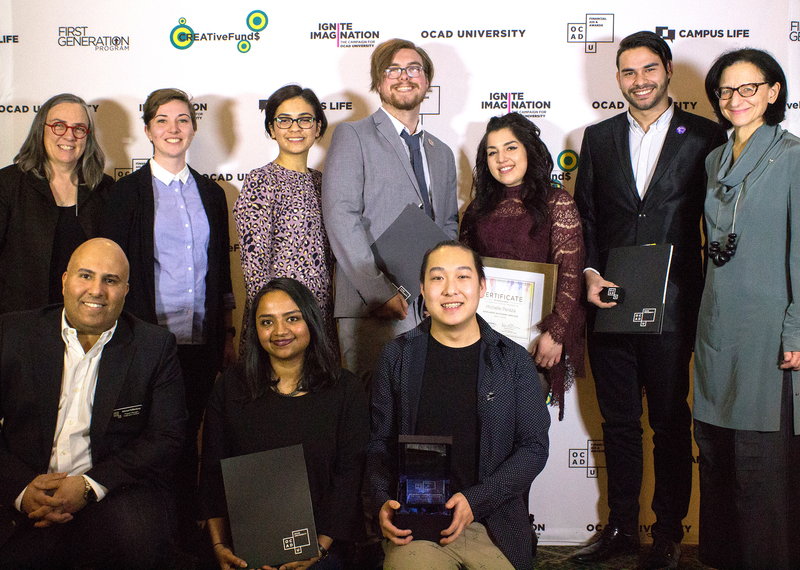 Companies selected from incubators at OCAD University, Ryerson University, University of Toronto, and York University, exhibited their creative ideas, services, technologies and products, with the top ten entering a pitch competition for $50,000 in awards. Imagination Catalyst, showcased six incubator companies: Aviv, Gaia, Thousand Stars Studio, Primo, U-Dimensions and PurPicks, of which five were led by OCAD University graduates. Katherine Roos, Executive Director, Imagination Catalyst, also participated in a panel discussion with representatives from each of the partner organizations. The event was held in celebration of Canada’s 150th birthday as an opportunity for emerging entrepreneurs to demonstrate how their ideas will help shape the next 150 years for Toronto and Canada. The program featured a keynote speech from Ann Makosinki, 20-year-old serial inventor and student at UBC, who was introduced by Paul Davidson, President of Universities Canada.